Marshall L. Litchfield, 79, of rural Macomb passed away at 11 p.m. Thursday, November 22, 2018 at Sunset Nursing Home in Canton. He was born on October 7, 1939 in Industry Township to Dewey and Alma Gruber Litchfield. He married Joyce Aten in 1958 in Industry. She survives. He is survived by three sons, Jay Litchfield of Tulsa, Oklahoma, Kendell (Suzanne) Litchfield of rural Macomb and Steven Litchfield of Norris; six grandchildren, Brock (Shelby) Johnson, Ryan (Blaire Lotz) Litchfield, Allyson Litchfield, Katie Litchfield, Sarah Litchfield and Kyle Litchfield; one great-grandson, Rush Johnson; sister, Millie Beans of Vermont; brother, Maurice (Georgia) Litchfield of Industry; several nieces and nephews and several great-nieces and great-nephews. He was preceded in death by his parents; one brother, Deane Litchfield and two sisters, Mary Botts and Maxine Greuel. Marshall was a man of strong faith, went to high school with Joyce and they married soon after high school. All of his closest family and friends still live in the Industry area. He and Joyce adored their daughter-in-law, Suzanne, their grandchildren and tolerated their 3 boys, Jay, Kendell and Steven. 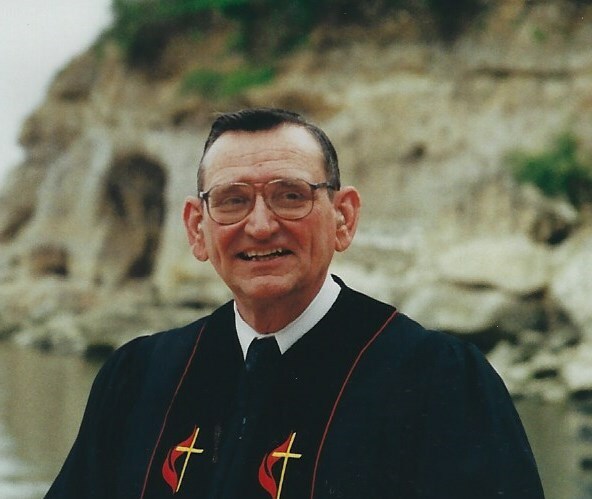 He served his God by being the lay minister for Doddsville United Methodist Church for 25 plus years and officiated many weddings and funerals during that time. The Doddsville church family was a second family to Marshall and Joyce. He served on the McDonough County Farm Bureau board and later the McDonough F.S. board where Marshall made several lifelong friendships from serving on these boards. In his farming career he built, rebuilt, designed, redesigned, repaired and painted many different pieces of equipment and machines. When it came to farm equipment, Marshall had the mind of an inventor and engineer. In his retirement he belonged to various antique tractor clubs and forged many friendships during that time. Funeral services will be held at 10:30 a.m. Monday, November 26, 2018 at Industry United Methodist Church with Pastor Bennett Woods and Pastor David Haney officiating. Visitation will be held from 5 to 8 p.m. Sunday at Clugston-Tibbitts Funeral Home in Macomb. Burial will be held in Industry Cemetery. Memorials may be made to the Doddsville United Methodist Church, and Industry Fire and Rescue Squad.